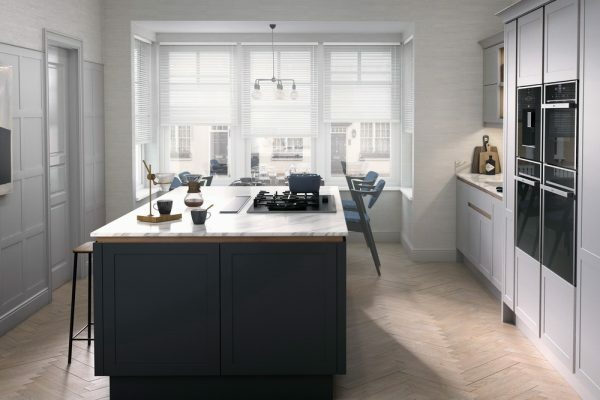 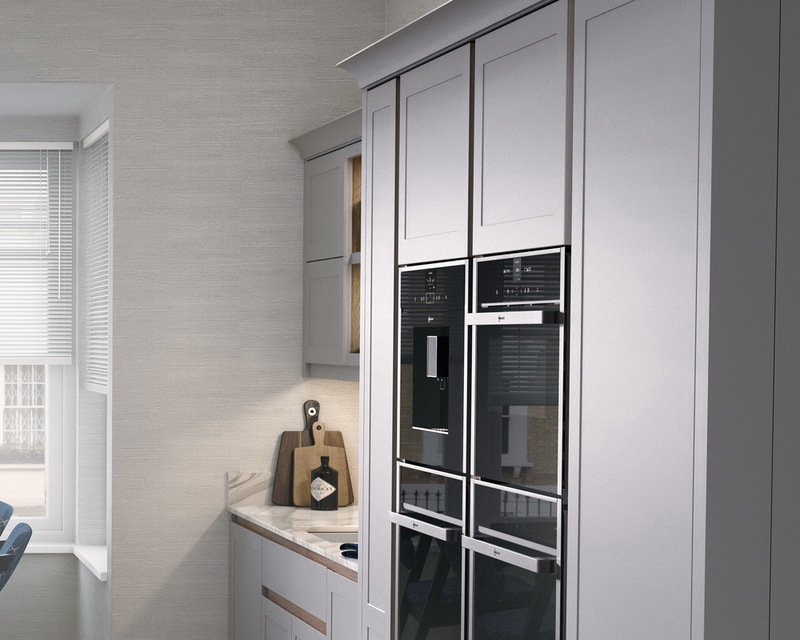 This handleless kitchen brings the classic Shaker design right up to date. 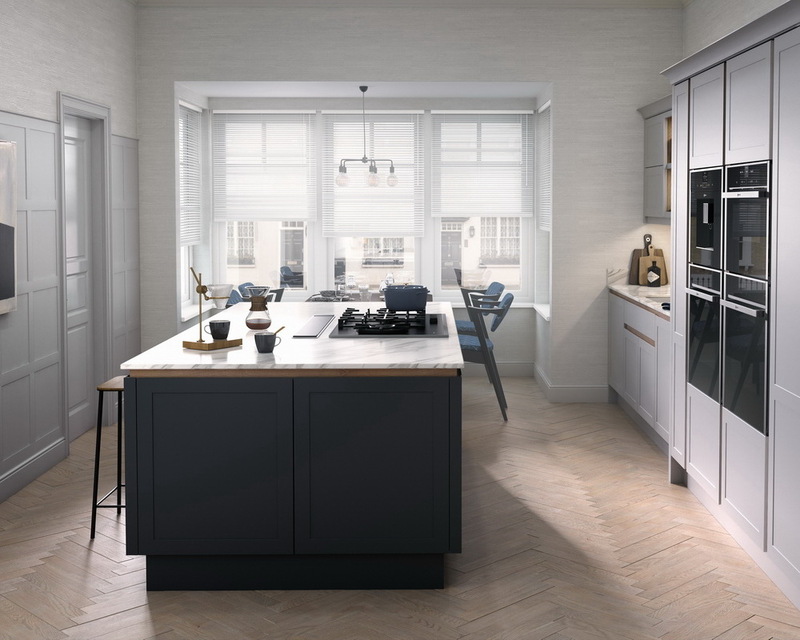 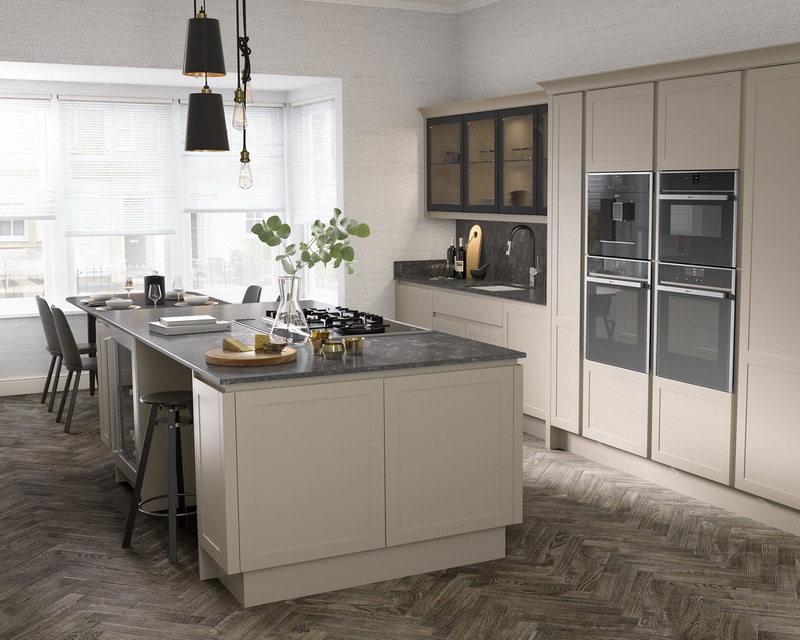 A selection of oak and painted trims soften the handleless look while a smooth-matt finish defines the overall feel. 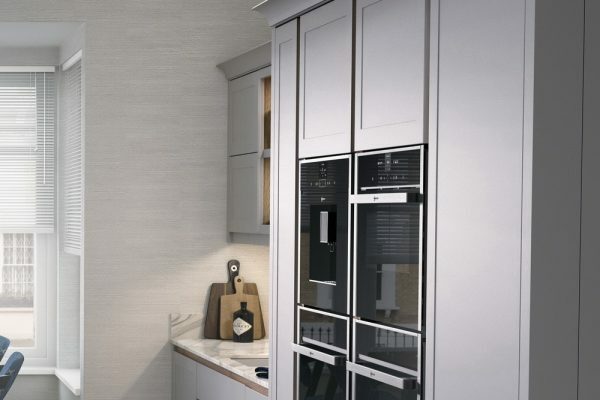 Ellerton is available in chalk, stone and partridge grey, as well as our range of paint-to-order colours. 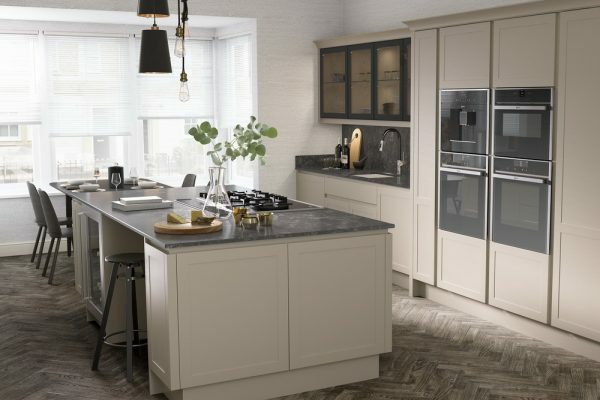 Please follow this link to view the full colour chart for this range.